Learning Process research papers examine the way huans acquire, modify or reinforce some knowledge, skill, behavior, or value. The learning process is the way in which human beings acquire, modify or reinforce some knowledge, skill, behavior, or value. 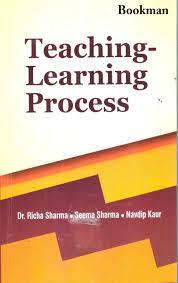 Frequently, the learning process involves the synthesis of various pieces of information by the individual. Learning is skill that proceeds differently for each person along what is known as the learning curve. Learning, at its most basic definition, is a change in behavior as the result of experience. The learning process occurs throughout one’s lifetime and need not be restricted to formal education. In fact, many educators believe that self-directed learning is the most powerful model for the individual. The learning process can be seen as a journey that takes an entire lifetime. Effective learning is purposeful, multifaceted, and active process that is the result of some experience. Educational psychology is instrumental in seeking to understand the learning process and has developed several theories in order to explain how people learn. Learning theory can be used in formal educational settings in order to strengthen the skills required to master learning. B.F. Skinner developed the theory of behaviorism, which saw learning as taking place as the result of a reinforcement, either positive or negative, that either encouraged or extinguished a particular behavior. Cognitive theory holds the notion that learning can take place as the result of interaction with others. Educational Psychology Theories are extensive, and the four major perspectives which make the foundation for its qualitative and quantitative research methods of study are those of behaviorist, cognitive, humanistic and social learning. Experiential Learning Theory research papers discuss the cognitive transformation of concrete experience into abstract knowledge through contemplation. Psychology of Learning research papers discuss the theoretical notion that is based on the idea that learning is a process that leads to changes in behavior. Paper Masters writes custom research papers on Learning Process and examine the way huans acquire, modify or reinforce some knowledge, skill, behavior, or value.